A woman at the end of her life. A man unable to restart his. A history of guilty secrets and things left unsaid. A powerful, moving novel that will steal your heart. Elderly and in poor health, Mary has lived in Hobart a long time. But when a letter is delivered to her house by someone she hoped never to see again, she knows she must return to Bruny Island to live out her last days with only her regrets and memories for company. Years before, her husband was the lighthouse keeper on Bruny and she raised her family on the windswept island, until terrible circumstances forced them back to civilisation. Now, the secret that has haunted her for decades threatens to break free and she is desperate to banish it before her time is up. But secrets have a life of their own and, as Mary relives the events of her life, she realises her power over the future may be limited. Back in Hobart, Mary's adult children are respectively outraged, non-committal and sympathetic about her escape from their care. But no amount of coaxing will shake her resolve. Her youngest son Tom loves Bruny, and can understand her connection to that wild island, a place of solitude, healing and redemption for them both. As Mary's secret threatens to tear her apart, both she and Tom must face their pasts in ways they couldn't even begin to imagine. Mary finds that the script she's written to the end of her life has taken a few twists of its own. 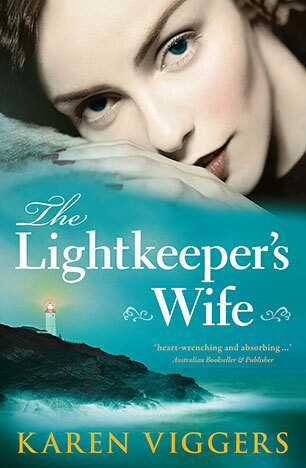 The Lightkeeper's Wife is a moving story of love, loss and family, and what we have to do to live the best kind of life.